Wealth, Investing and Finance are not just different words for making money. They are the tools used to create the resources you will need to be able to do the things in life that you want to do. Even successful business people often overlook the subtle benefits of passive investment – this is the area where we shine. No matter who you are, ES&A Financial Services Sunshine Coast see you as the seed to what you will become. 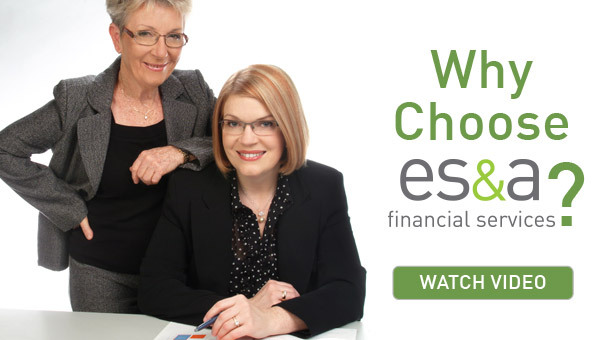 My wife, Heather, and I have been clients of ES & A Financial Services for about fifteen years. Initially we dealt with Ellen Schafer but soon transitioned to Julie Schafer. We have always found Julie to be very friendly and engaging. She is attentive to our financial needs and prepared to assess alternative thoughts when presented to her by us. We believe that it is essential to have a high level of rapport with your financial adviser, and we have that, in spades, with Julie. Read more of Julie's Blog posts here.